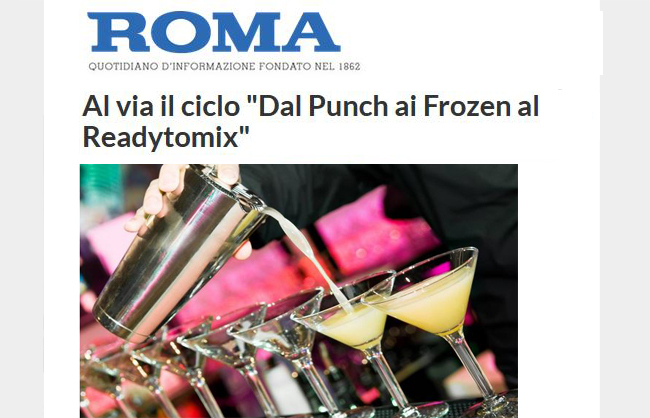 Elmeco, the leading italian company in the production of slush machines and solutions for cold drinks, will be participant at the NACS show in Las Vegas. Each year, this show gathers the boundless world of american convenience stores (a sort of stores that are open 24/7) and stores located in the service stations. More than twenty thousand stakeholders in a space of four hundred thousand square meters. It is a very important and very broad industry, rooted in the american daily life – in the USA there are more than 130.000 convenience stores - and Elmeco is already present in chain stores such as Kum & Go (420 shops), Ultramar in Canada (more than 1.000 shops) and 7Eleven in Thailand and Norway. "There is a high quality market, as the American one, that asks us for innovation and for customization - explains Umberto Cortese, General manager of Elmeco srl-. Despite its small size, Elmeco is a dynamic company, that moves a lot all around the world, and meets those needs. Indeed, exports are more than 70% of our turnover". Matteo Komers, Manager of the american market, adds: "The high technological solutions adopted in our machines, as well as the modern design, are very different from what our american and european competitors have to offer. That motivates us and helps us to differentiate our products on the market. Being different is rewarding". Elmeco, the leading italian company in the production of slush machines and and solutions for beverage, will be participant at the NACS show in Las Vegas. Each year, this show gathers the boundless world of american convenience stores (a sort of stores that are open 24/7) and stores located in the service stations. More than twenty thousand stakeholders in a space of four hundred thousand square meters. It is a very important and very broad industry, rooted in the american daily life – in the USA there are more than 130.000 convenience stores - and Elmeco is already present in chain stores such as Kum & Go (420 shops), Ultramar in Canada (more than 1.000 shops) and 7Eleven in Thailand and Norway. "There is a high quality market, as the American one, that asks us for innovation and for customization - explains Umberto Cortese, General manager of Elmeco srl-. Despite its small size, Elmeco is a dynamic company, that moves a lot all around the world, and meets those needs. Indeed, exports are more than 70% of our turnover". Matteo Komers, Manager of the american market, adds: "The high technological solutions adopted in our machines, as well as the modern design, are very different from what our american and european competitors have to offer. That motivates us and helps us to differentiate our products on the market. Being different is rewarding". 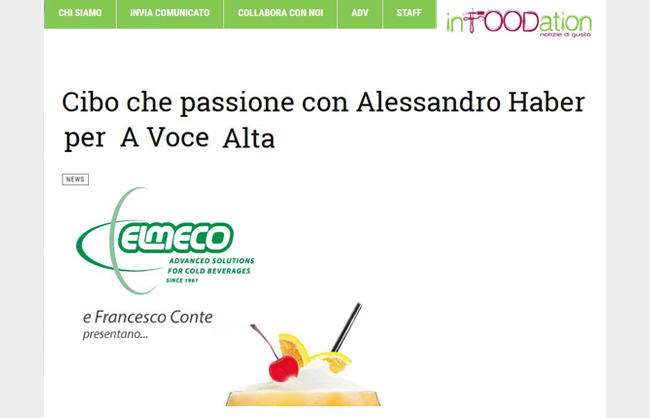 Despite being a small company from the neapolitan hinterland, Elmeco srl is a leading manufacturer of slush machines, machines for the production of coffee creams for bars and restaurants. The combination of electronics, plastics, mechanics and thermodynamics of their equipment produces delicious creams and soft ice creams with Quickcream. Elmeco has relied a lot on innovation while creating Big Bizz, a mechanism, easy to use and clean, that produces just a little quantity of slush each time, allowing often change of flavours. The company headquarters are located in Casandrino, on the so-called "american road" (Circumvallazione esterna). To get there, you must cross an awkward degraded district, which doesn’t really increase the business value of companies operating in that area. Indeed, Elmeco, like the other 10 of the consortium, fights daily with the problem of spillage of waste, along the road and outside the company offices. Elmeco was born in 1961 in the heart of Naples, thanks to the intuition and ability of Cortese, creator of the first vertical machine for the production of slush. Today the company is managed by his three sons: Umberto, General manager, Alessandra and Mena, Sales managers, who inherited their father's passion for management, increasing the opening of Elmeco to international markets. After having worked with different european countries (France, England, Spain, Greece), today company works with Russia, Japan and the USA, taking advantage of its own business network, for a total annual production of about 5.500 machines. The Japanese demand will certainly increase, while the new fresh market is China. The numbers of this small company are significant: 18 employees, but the numbers are expected to increase, and an average turnover of more than 4 million euro. Exports is the 80% of the turnover. The USA market is in expansion because of the strong economic recovery, but the true incentive of the economy lies in the american bureaucratic simplification. Matteo Komers, Sales manager Elmeco for the North, the Centre and the South of America, confirmed this. How do you carry out your activities in the USA? "I work with local distributors and agents. I also deal with the coordination of the customer service, and the technical and administrative support in the relations between the italian factory and the American customers. I am also responsible for all the activities in the USA division and for the warehouse located in Charlotte, North Carolina". Which machines are more being sold, in particularly, in the USA market? "We sell all our products in the USA market. The most popular are the dispensers with great tank’s capacity: the model FirstClass Millenium. The smallest one, BigBizz, follows closely behind. Also our new product, Quickcream, the soft ice cream machine, is in development. The machines are very adaptable and can be installed in different locations. They are mainly located in Convenience Stores, the equivalent of italian service stations. There are more than 130.000 of them, in the USA only”. Has the recovery of the american market had a positive impact on your industry ? "Definitely. American consumers are in a stronger financial position now and more willing to spend money on desserts and on gourmet specialties. This generates equipment sales and helps us to expand the customer base. However, we are still far from where we want to go". Is the italian technology as popular as the italian food in the USA ? "Yes. Americans love everything that comes from Italy and everything with italian origins. In our case, the high technological solutions adopted in our machines, as well as the modern design, are very different from what our american and european competitors have to offer. That motivates us and helps us to differentiate our products on the market. Being different is rewarding". Are the machines manufactured in the USA or in the headquarters in Casandrino? "All the machines are manufactured in Italy. After that, we transport them in containers to our warehouse in Charlotte. From there the machines are sent out to all our customers across the continent, according to orders. The same happens with the individual parts and other components". Which are the main difficulties you have encountered in the American market? “The American market is the ultimate consumer market. Here the customer is truly the king. The level of support (in terms of security, accessibility, etc…), that companies like ours must offer to the customer, has no equal in the world. You must always give your best. You have to be sure that the machines are working properly, that the shipments are on time, and that someone is always ready to answer the phone every time it rings. There isn’t place for an error. Once you've lost a customer is almost impossible to get it back”. How is the bureaucracy in the USA different compared to Italy? "I can answer based on my experience. At the beginning of the year, we moved our company from New Orleans (Louisiana) to Charlotte (North Carolina). It took me 30 minutes and 250 $ to register the company in the new state, another 15 minutes to open a new checking account. And I did it all online. The USA government ensures that entrepreneurs can focus on the most important thing, their business, rather than wasting time in useless bureaucracy". ELMECO is an italian company, leader in the production of slush machines and solutions for dispensing cold and iced beverages. It will be a participant in the Tales of the Cocktails® New Orleans, the largest event in the world dedicated to the sector of cocktails, happening until July 19th in the capital of Louisiana. It is here that the alcohol industry gathers each year, for five days of seminars, tastings, events and more. Bartenders and spirits industry professionals participate from all over the world to discover new products, ideas and techniques. This is the obligatory stop to keep abreast on the world of mixology. 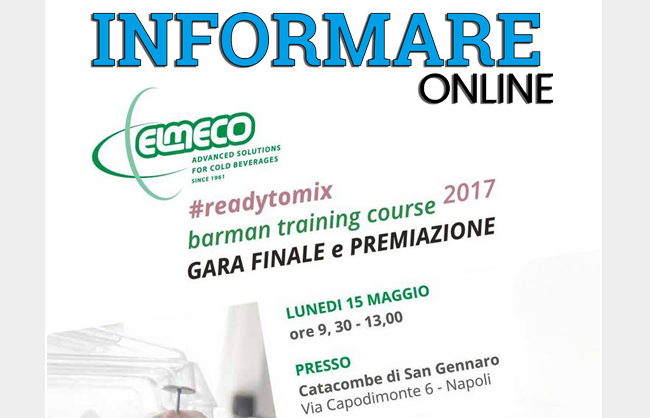 The exclusive machines for beverages realized by ELMECO will be mounted across the festival area: they will be in operation on July 17th, during the seminar "Perfect iced drink: science and practice"; they will be used by the extraordinary Cocktail Apprentice Team, composed of 70 professional bartenders, selected from all over the world; it will also be present at the recording of the festival and at the Sazerac first sip, where the Praline Frozen Daiquiri will be served (Sazerac is an historic brand of liquor, founded right there in New Orleans). Tales of the Cocktails® is a very important event, especially in a country like the United States, where the entertainment is an essential industry and where the ritual of cocktails is an important popular culture. ELMECO, is at home overseas: based in Charlotte (North Carolina), having an important position in the American market, it confirms to be a good ambassador of Italian industry, thanks to its technological innovation and focus on its customers. Matteo Komers, Sales manager of the american market explains: " The high technological solutions adopted in our machines, as well as the modern design, are very different from what our american and european competitors have to offer. That motivates us and helps us to differentiate our products on the market. Being different is rewarding". Elmeco’s story is a beautiful one, the story of talent and success. We could say that it is an example of the art of inventing, the ability of implementing trade agreements with italian industrial giants and the talent of defying the overseas markets. The neapolitan company was born in 1961 thanks to the intuition and ability of Salvatore Cortese, creator of the first vertical machine for the production of slush. Today the company is in the hands of his three sons: Umberto, Alessandra and Mena, who have inherited their father's creativity, declining it in a careful business management, and being more and more concentrated towards international markets. Elmeco is a leading manufacturer of slush machines, machines for the production of coffee creams and of cold beverage machines for bars and restaurants. Its market is spread worldwide, that's why after Hotelex, industry trade show in Shanghai, the team will fly to Chicago, then to Thailand and finally, they will return to Italy (Milan) to partecipate at Host, the exhibition dedicated to ho.re.ca. The Cortese brothers never get tired of flying all around the world and, thanks to this approach, they can find new ideas and resources for technology development. This is an important detail, because today, in any industry, it is really important to meet the demands of personalization: "There is a market of very high level - explains Umberto Cortese - asking for innovation and customization. 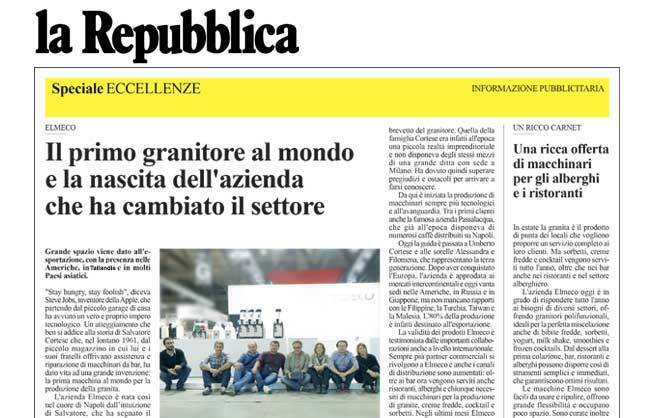 As in the example of our cooperation with an Italian manufacturer of ginseng’s coffee for which we have designed two new machines: Blarge and Bsmart, with an order of 700 pieces". In spite of its small size, Elmeco is a dynamic company and makes business all around the world. Indeed, exports are 70% of the turnover, which is around 4 million euros, with an expected increase of 20%: "Our directional customers are Horciata Solera in Spain, Vollrath in USA, Sami in Korea - says Alessandra Cortese – FMI in Japan, Seng in Italy, Hiway in China. About 400 customers in Italy and abroad, for a total of about 5.500 machines produced every year". Usually, the company has a direct sales network. Just in South Korea and Japan we turn to an external agency. "The Japanese market will tend to increase itself, it is potentially in expansion - continues Alessandra - while the new market is China: they begin to demand products with very high standards". The creation of slush machine has changed the history of custom. The slush as we know it today, made by a machine that mixes the ice with coffee, lemon, tea, was invented it in the late '50s by Salvatore Cortese, neapolitan, in a shop of 35 square meters in San Liborio, an alley situated in the center of Naples. 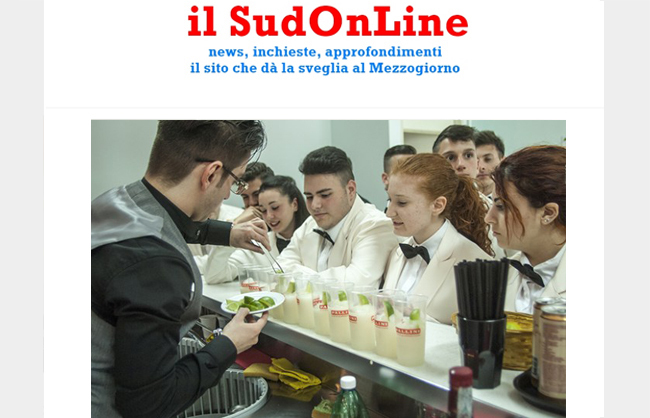 Cortese, who worked as a mini-bar’s maintenance operator, was open enough to hear the customers desires, who wanted to have a machine to make the slush directly in the bars, because normally it was just sold by street vendors: an unfortunate lack for the neapolitan business logic. Thanks to the mix of his personal genius and experience, Cortese invented and assembled the first slush machine in the world. In the same year, 1961 the Electromechanics Cortese (Elmeco srl) was born. The machine was patented right away, but unfortunately, because of bureaucratic and economic reasons and for an oversight, the patent was lost and other competitors took advantage of it. “The flavour revolution” has begun, Salvatore Cortese continued on the path of inventions and from the first slush machine, today the company produces the electronic machines like the BigBizz, machine that eliminates the costs of production (small size, big business), and the Quickcream machine for soft ice cream. Currently, the Elmeco is situated in the industrial area of Casandrino (hinterland of Naples) and the three sons of Salvatore Cortese: Umberto, Alessandra and Mena are the leaders of the company. They have acquired their father’s passion and genius and they have made the company grow all over the world. Today, 75% of the company's turnover comes from exports to Europe and Asia, with 6.000 machines produced each year and counting more than 500 customers spread all over the world. With one office in New Orleans, to answer the customer demands from the North, the Centre and the South America, Canada and Mexico. Elmeco has landed also into the difficult Japanese market and it is advancing towards the China market as well. Elmeco has a strong bond with its neighbourhood and it is a vital part of it, with involvement in multiple local projects like: the School soccer Arci Scampia, the cultural and theatrical project Vodisca, the fencing tournaments Sandro Cuomo and different initiatives for young and disabled people. Despite the difficulties, Elmenco is a dynamic company and continues to grow and to invest. 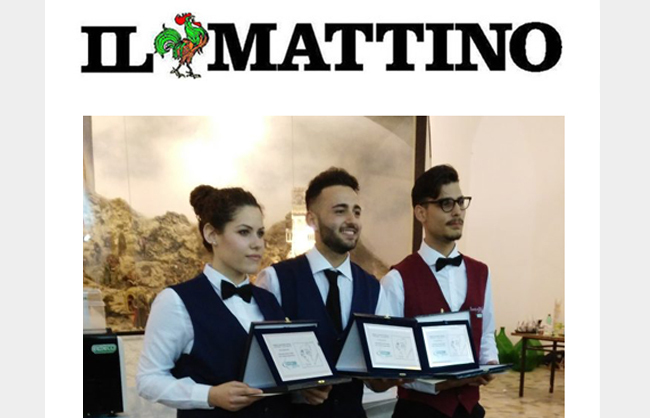 Host Milano, the international tradeshow for the hospitality sector, will be the launch pad for the new ecological direction of Elmeco, the Neapolitan producer of drink dispensers, slush and cream coffee machines. Elmeco will be exhibiting its all-Italian products in a stand made entirely of 100% recyclable cardboard. 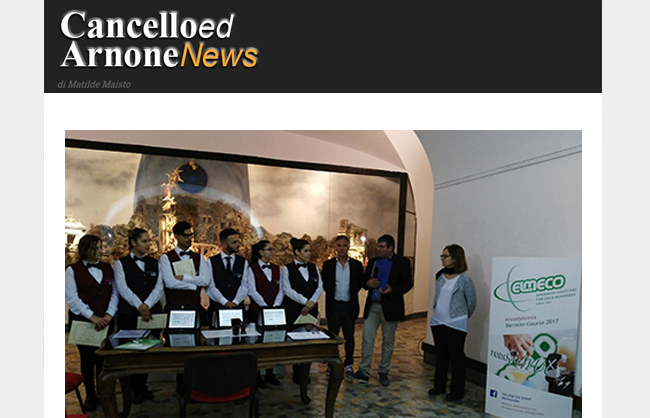 “Host is an important opportunity for us to confront ourselves with other qualified companies in the sector,” explains General Manager, Umberto Cortese.